The CoffeeShop Blog: CoffeeShop Vintage Tags 2! I had fun creating this set of digital vintage tags for you. I used some design elements from The Graphics Fairy and a ribbon that I created. These are simple png files that you should be able to open and use in most editing programs. 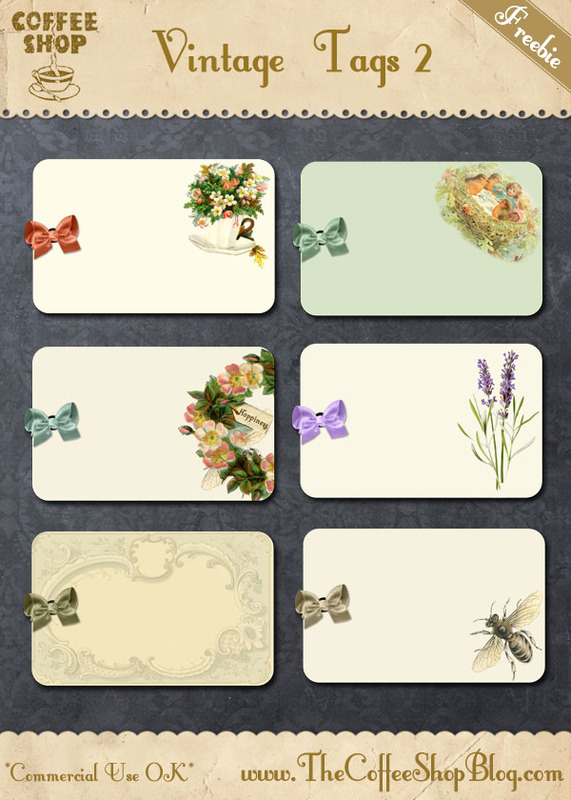 Download the free CoffeeShop Vintage Tags 2 set. You can also download them here.